Over the next three issues we will look at Dundee during the 1640s and 1650s, a time of turbulence when Scottish independence appeared vanquished through military defeat and English occupation. Scotland would, though temporarily, recover its independence, and Dundee also survived, but not before finding itself on the front line of an epic conflict that claimed the head of a King, and whose shadow lingers still. 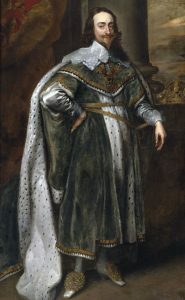 The road to war was laid by Charles I and his ill-advised attempt to anglicise Scottish religious practices, which resulted, in 1638, in the country-wide signing of the ‘National Covenant’. This radical declaration defended the independence of the Scottish Kirk and Parliament, and called on Scots of all ranks to resist any Royal attempts at curtailing Scottish rights. The coming conflict would, though, open religious and political fissures in Scotland, particularly within more Catholic dominated areas in the western Highlands and Gordon dominated Aberdeenshire, where support for the National Covenant was weak. 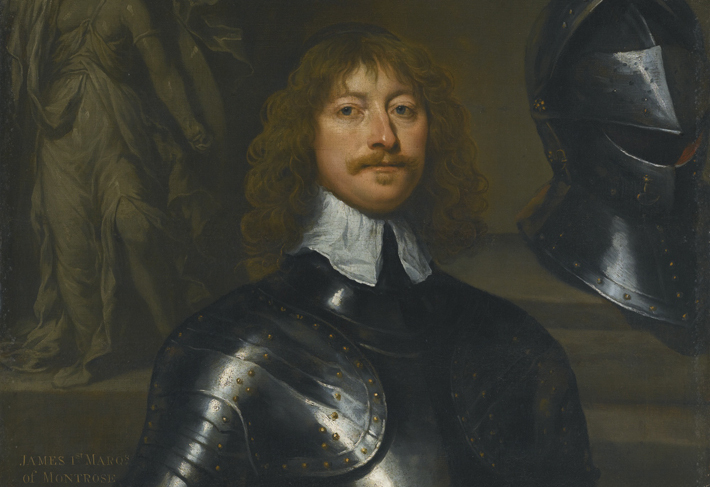 Armed with a Royal Commission, Montrose slipped into Scotland during the summer of 1644 to raise a Royal army. Only a few hundred, anti-Campbell, clansmen answered his call, to take their place alongside the small expeditionary force of three regiments sent by the Irish Catholic Confederacy and led by Alistair MacColla. It was an inauspicious beginning, and they also lacked adequate cavalry and artillery, but Montrose and MacColla still succeeded in unleashing Royalist hellfire throughout Scotland. 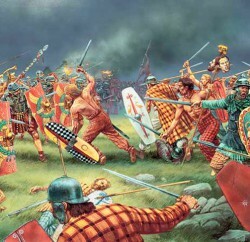 Despite many victories, their campaign remained a military sideshow, as the King’s defeat was all but secured even before they had taken their first steps into history and myth. 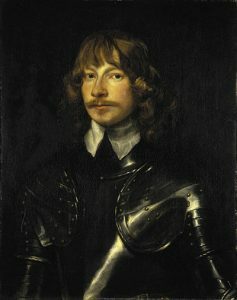 Whilst Montrose avoided any association with the pivotal royalist defeat at Marston Moor in Yorkshire in July 1644, many of his former Covenanter comrades did play leading, and sometimes tragic, parts, such as James Scrymgeour, Second Viscount Dudhope, Constable of Dundee and Baron of Rotten Row (Hilltown). 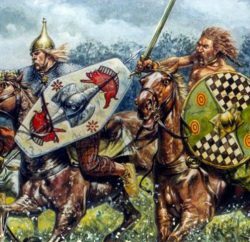 Scrymgeour died at the head of a 200 strong Company of Dundonians at a vital point in the battle, when the centre of Scottish pikemen buckled under repeated Royalist cavalry charges. 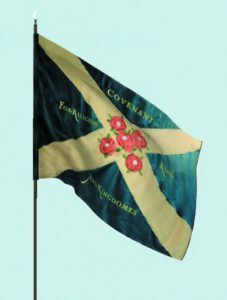 Despite heavy losses, the centre held, as the cavaliers were broken on bloodied Scottish pikes, thus guaranteeing victory for the Allied Army of Scottish Covenanters and English Parliamentarians, and the beginning of the end of the Royalist cause. Montrose, and his small combined force of around 750 Irish musketeers and Gordon clansmen, arrived outside Dundee’s western walls at mid-morning on 4th April 1645. Despite the obvious dangers involved, Montrose reportedly ‘thought it well worth his labour if… he might take in Dundee, a seditious town… [and] the securest haunt and receptacle of the rebels in these parts’. 3 Despite an exhausting overnight march from Dunkeld, morale was high following their latest spectacular victory at Inverlochy. But Montrose was aware that a pursuing Covenanter army was on his trail, and with little time, and no heavy guns, Dundee should have been bypassed. Instead, the town was summoned to surrender, and then, against all the rules of war, an all-out attack was ordered before any reply was received. 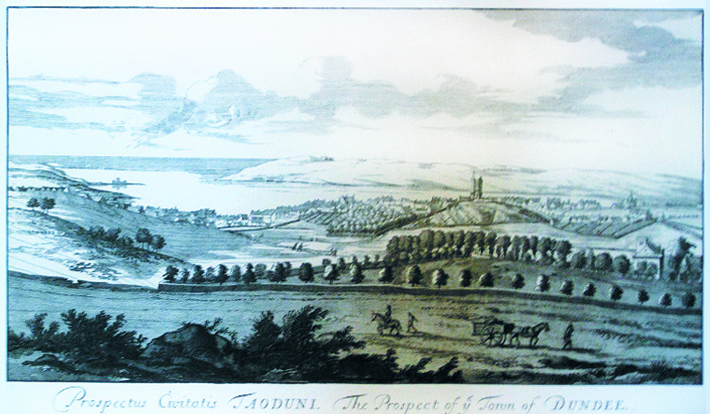 The armed Dundonians defending the western ports (gates) at the Nethergate and Overgate withstood the first frontal assaults by Irish and Gordon musketeers, but, in the meantime, another detachment of Gordons took advantage of unfinished repair work on Corbie Hill and quickly stormed the weak spot. The hilltop, which was situated around modern Bell Street, served as a platform for a battery of cannon, which were quickly turned around to bombard the western ports. 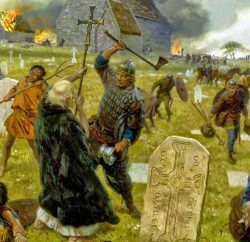 As defenders scattered or were killed, the besiegers poured in through the ports and fought their way into the High Street. As street fighting raged, the Church of Saint Mary’s, the town hospital and the Rotten Row were all set ablaze. Whilst the Rotten Row was probably singled out for being the Barony of the fallen Covenanter hero of Marston Moor, and the Church for its association with the established Scottish Kirk, the firing of the hospital was an act of wanton spite, with no possible justification. It was a close run thing, with the Irish and Gordons, some drunk and booty-laden, escaping through the Seagate Port just as Covenanter troops were entering the western ports. A forty mile fighting retreat then followed, via Elliot Water, Friockheim, Brechin, and Edzell to the safety of Glenesk, but not without scores of the pursued being captured or killed. Royalist propagandists hailed the retreat as a brilliant feat of soldiery, but the Covenanters also claimed victory. On balance, it represented more of a Royalist defeat than a Covenanter victory, courtesy of Montrose’s recurring disregard for intelligence gathering, a weakness that, a few months later, would prove disastrous at Philiphaugh. The cost from siege damage and looting left Dundee so ‘fearfully defaced and disabled’ that it received £54,000, £7-8 million at today’s prices, in aid from the Scottish Parliament. 5 As great as it was, the damage suffered during the siege of 1645 would pale in comparison to the carnage visited upon Dundee a few years later by General Monck, but that, as they say, is a different story, which we will examine in the next issue. 1 Quoted in, E. J. Cowan, Montrose: for Covenant and King, Edinburgh, 1995, p. 11. 2 See, Richard Cust, Charles I: A Political Life, Harlow, 2007, p. 302. 3 Quoted in J. McLaren, History of Dundee, Dundee, 1874, p. 90. 4 See Stuart Reid, Crown, Covenant and Cromwell, London, 2012, pp. 84-6. 5 Quote and figures in, Norman Watson, Dundee: a Short History, 2006, p.70. 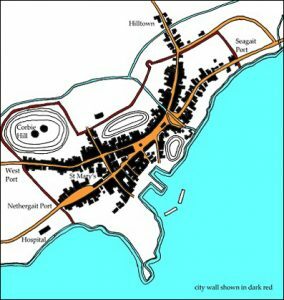 Map of Dundee derived from E. Torrie, ‘Medieval Dundee‘, Dundee, 1990, p. 102.